The pinnacle is a gala banquet on Oct. 6, the day in 1993 that a ribbon-cutting ceremony marked the arrival of Kendal’s first residents. But the anniversary celebration has spanned the entire year, with theatrical productions and concerts, a home and garden tour, Oberlin College events and more. Many of Kendal’s annual events, such as Spring Fling and Winter Solstice, have incorporated birthday tributes and themes. “Tons of people are involved, and we are having a wonderful time. It’s exciting,” says Carol Harvey, who is co-chairing the 25th celebration with Kathy Caldwell. Celebrations actually began in November at Kendal at Oberlin Residents Association’s annual meeting. In the fall of 1993, 187 residents moved into the retirement community. These residents are known as the “founders” and the 13 founders who still lived at Kendal were honored during the meeting (there are now 12) and given special “founder” nametags to wear throughout the year. 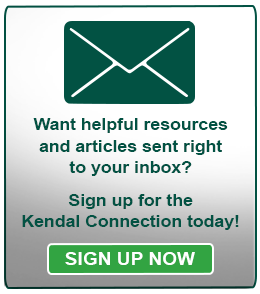 “Their vision and dedication have made and continue to make Kendal the home we love,” Marjorie Porter told the gathering. All year residents have been wearing anniversary-decorated T-shirts and sweatshirts and using special shopping bags. A 25th banner hangs over the main door into the Heiser Community Center. 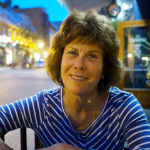 Gretchen Roose, a founder, recalled how people from the city and Oberlin College helped her husband, Ken, and other residents build the clay tennis courts. Later, community residents returned to play tennis. The tennis courts set a “welcoming tone. 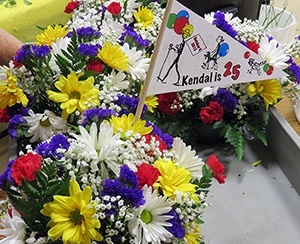 It showed that Kendal was a community in unity with our larger community,” Barbara Thomas said. In March, Kendal was honored during Oberlin College’s Artist Recital Series. “It’s always a great joy to come to our concerts and see our Kendal community in force. We are greatly appreciative of your support, your steadfastness, your enthusiasm, not just in your concert attendance, but in all the things that you do to make Oberlin a welcoming and warm, vibrant and creative environment,” Andrea Kalyn, Dean of the Conservatory, told the audience. The next few months are packed with anniversary events, both before and after the Oct. 6 dinner. “Looking Back, Going Forward” reflection with luminaries on the Sunday before Thanksgiving. Every year on Kendal’s anniversary residents and staff observe the occasion by eating a “simple supper” and donating money to the Oberlin Community Services. “We at OCS are deeply grateful for Kendal’s outstanding commitment to serving the larger Oberlin community; we relish our partnership! The Simple Supper, an annual event that raises over $3000 for OCS, is a testimony to how dedicated Kendal and its residents are not only to giving, but to acknowledging the struggle that some in our community face to put food on the table,” said Executive Director Margaret Flood. While the meal will not be simple this year for the 25th, the donation kettles will be out and undoubtedly filled.